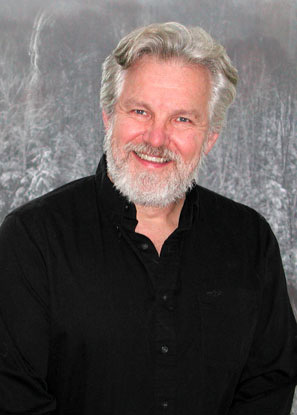 STEVE WALLER, Health & Happiness Green Living Column Writer: Steve Waller has been a Health & Happiness U.P. Magazine Green Living” contributor since it started. He has been involved with energy issues since he installed his first solar hot water system back in the 1980s. He was a naturalist and education associate with the Chicago Academy of Sciences, a wilderness canoe guide, an owner/program director of an outdoor education program in the Quetico Wilderness Area in Ontario, Canada and was one of the originators of the Moosewood Nature Center in Marquette, MI. In contrast, Steve has also travelled the world as a technical training specialist for electronics and industrial technology and that naturally led him to energy technologies. His many and varied years of experience have convinced him to merge his two worlds and be an avid pioneer, promoter and installer of clean energy. Since the year 2000 Steve and his wife Cathy have raised their family of four in an off-grid wind and solar powered home just north of Marquette, MI where they tend a large vegetable garden, thirty fruit trees, manage eighty acres of timber and own/show/ride two horses. His oldest daughter is now a student at NMU and lives in a small house in town, so Steve is now frequently involved in Marquette city energy issues too. His youngest daughter is active in 4-H and is still in homeschool high school because commuting from the deep woods to school in town is impractical. He admits to being a “techie” who can understand and merge scientific, environmental, technical, economic and social concepts with reason and vision. Being an avid reader and experimenter, there is little more pleasurable for Steve than curling up on the sofa in front of the woodstove with a well-written owner’s manual or collection of non-fiction essays. Steve claims that a closed book is useless. Grasping the big picture issues and communicating details in interesting and important ways is important to Steve He feels that Health & Happiness U.P. Magazine gives him the opportunity to share his perspectives with the people of the north woods in hopes that he can help others live Healthier and Happier. Valerie Wilson, a.k.a. “Macro Val,” started cooking with her mom when she was just 9 years old, and has been in the food industry for over 25 years, starting out as manager of both a deli and restaurant. In 1993 she became involved in the macrobiotic, vegan lifestyle and healthy cooking. She worked for two years in a macrobiotic cooking school to learn the basic cooking skills that she has perfected throughout the years. She has overcome allergies, joint pain and eczema and can give powerful testimony to the power of eating well. Val is well versed in the energy of foods and how it relates to healing the body. She offers lifestyle counseling sessions to help people overcome weight issues, sugar imbalances, eczema, chronic fatigue and cancer through food choices, in person or by phone. As a published author, she wrote her first cookbook, Perceptions In Healthy Cooking in 2000 and is a regular writer for Health & Happiness, Body Mind Spirit Guide, and has been featured in Macrobiotics Today and Christina Cooks magazines. She was recently featured in a cooking segment on Fox 2, The Nine, morning show. Val is a self-employed chef based in Westland, Michigan, who teaches cooking classes through the state. Her love of food and cooking keeps her creating new recipes and sharing her knowledge. 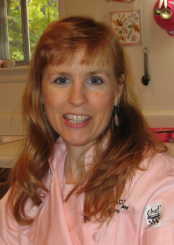 She hosts a monthly Radio show, Healthy Cooking With MacroVal on BodyMindSpiritRadio.com. You can listen and call in live the first Friday of the month from 1 -2 pm. And you can listen to past shows on the website. Val can be contacted at www.macroval.com or by phone at (734) 722-4553.